Oh Sheila is really hard to describe! It has a blurple like base with pink shimmer and fine holographic glitter. I used 2 coats with no top coat. This polish is beautiful! I couldn't stop starring at my nails and moving them around to make the light hit them in certain ways. :P Hopefully others can relate to that out there! Formula was perfect because it dried quickly was shiny with no top coat. 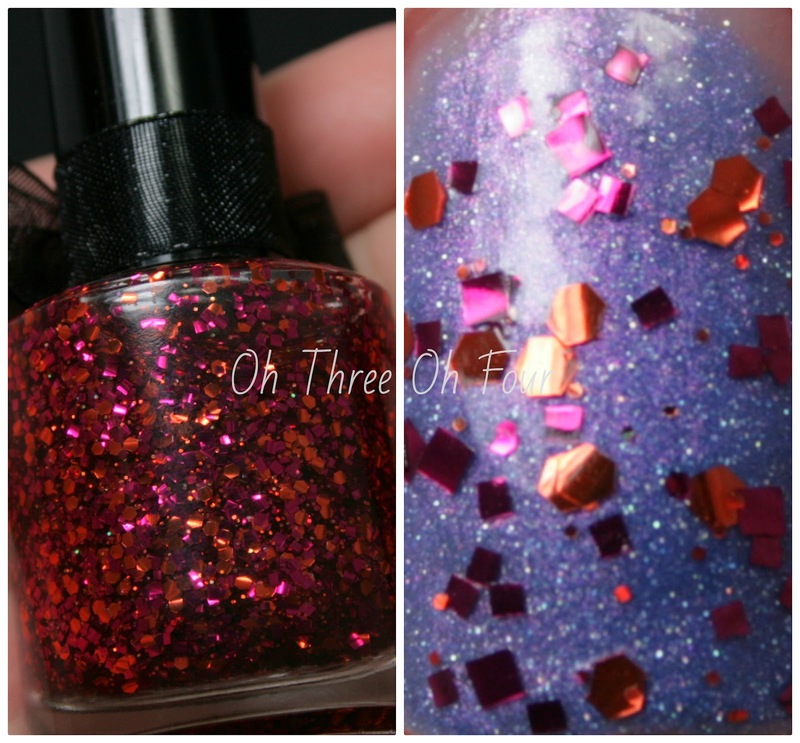 Razzleberry has a clear base and various sizes of rapberry and orange glitter with fine holographic glitter. I used 1 coat over 2 coats of Oh Sheila and no top coat. Find Lacquerhead Polish on etsy here. Currently her cuticle oils ship free with other items, so make sure to pick 1 or 2 up! ;) Like Lacquerhead Polish on Facebook here, to keep updated with new colors coming out and to find out when her holo top coat and other holo polishes will be stocked.